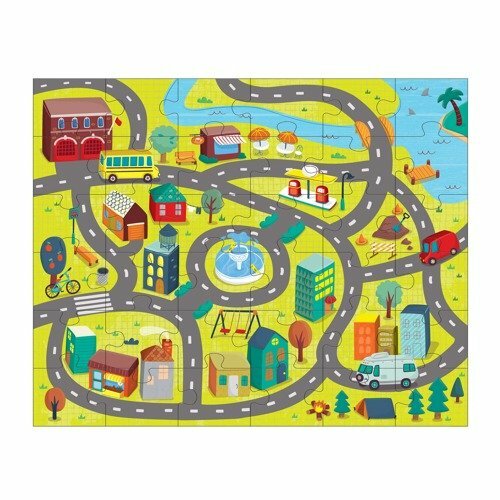 With Mudpuppy's Animals of the World Puzzle Play Set, the fun doesn't stop when the puzzle is complete. 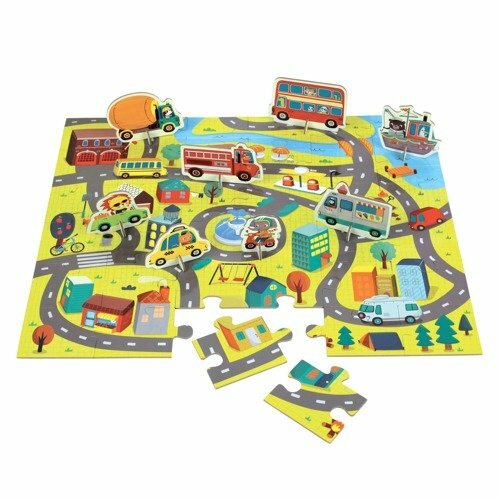 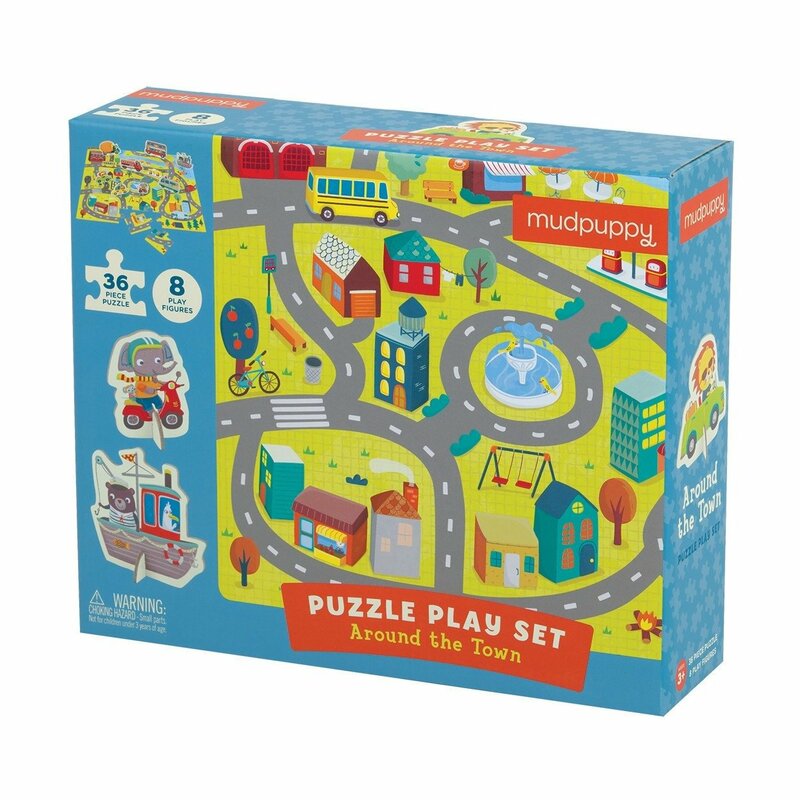 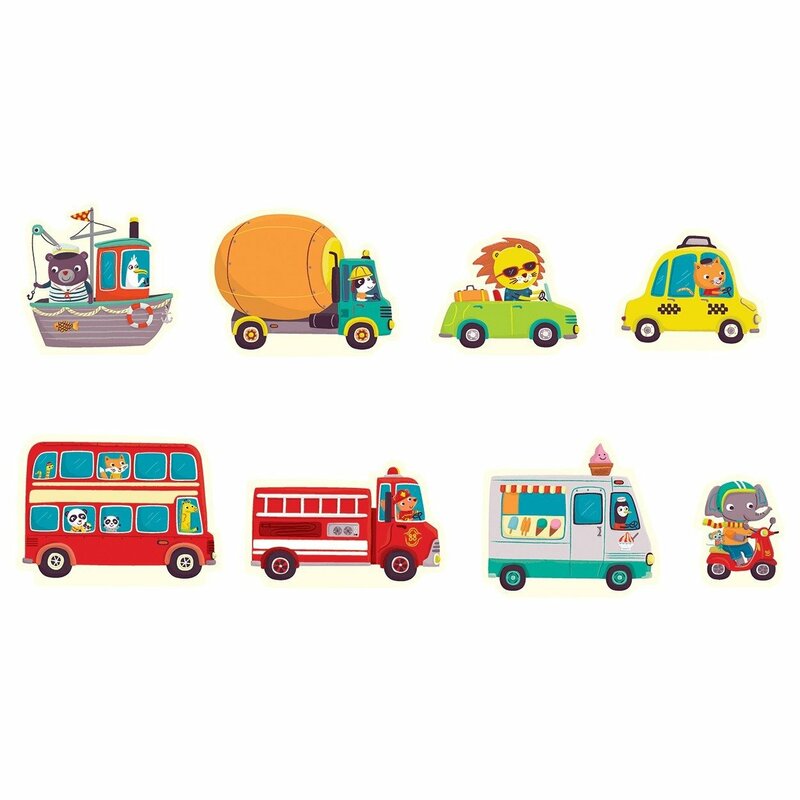 With Mudpuppy's Around the Town Puzzle Play Set, the fun doesn't stop when the puzzle is complete. Use the puzzle as a play area for the eight figures included in the box and let your imagination do the rest!